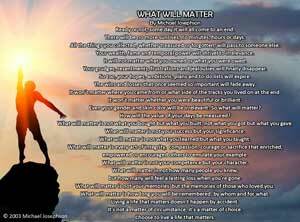 Living a Life That Matters The Wisdom and Philosophy of Dr. Martin Luther King, Jr. 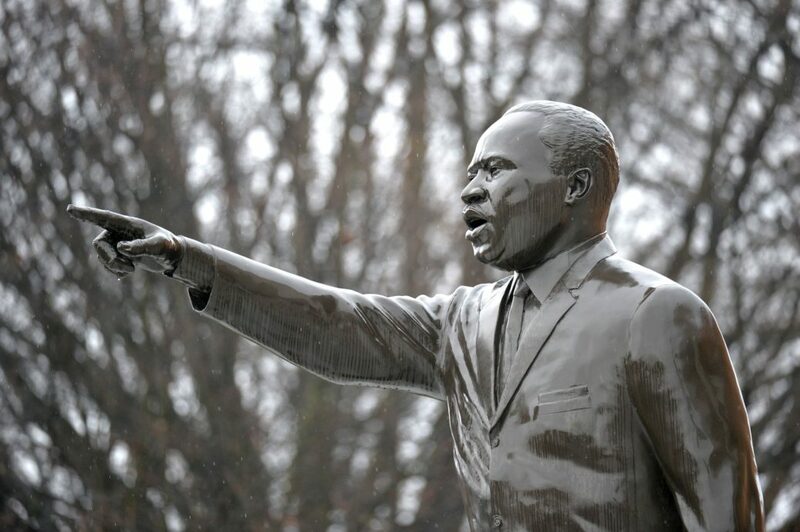 Among Dr. King’s historically significant contributions was his advocacy of and adherence to nonviolence, while at the same time engaging in aggressive confrontation of and resistance to injustice. He often combined the powerful reasoning of a philosopher with the charismatic leadership and a stirring oratorical skills of a preacher to educate the nation about the nature of moral civil disobedience and the fallacy of “the end justifies the means” arguments. His 1963 Letter from the Birmingham Jail lays out the case for civil disobedience: “I submit that an individual who breaks a law that conscience tells him is unjust, and willingly accepts the penalty by staying in jail to arouse the conscience of the community over its injustice, is in realty expressing the very highest respect for law.” What’s so important here is his recognition that morally justified civil disobedience requires the acceptance of consequences. He believed that if he was to make the point he wanted to make, he had to go to jail and he was willing to do so. I liken him to a politician rather than a philosopher. When you live where it gets down and dirty and the reality of a movement rears its ugly head, you come away wondering how this can be. I grew up in New Jersey during his activism and I can tell you my life was changed over those years. Black friends (we called them colored people) I went to school with since Kindergarten began to slowly change in their character. Friends – whom I grew up with and played with suddenly addressed me as white boy. I watched a peaceful neighborhood plunge into terror in almost one night. I watched as stores were burned , people beat up, our lives threatened and friendships transformed into enemies. Looking at those events, I would say His philosophies were not followed. Nonviolence? Peaceful integration? I would say that it divided America racially rather than bring it together. I liken Dr. King to a prophet. I, too, am a child of the 60’s. they weren’t the easiest times to live in. Dr. King’s messages did not cause the riots of 64-68. That was the anger born of injustice, inequity, inequality, police brutality, and segregation. It wasn’t right and it wasn’t smart, tearing up the neighborhoods where you live. It hurts when one must confront the ugly history and ugly reality of our country. It’s not the kind of thing that one should be expected to handle well. Dr. King handled that pain and anger very well. But his and the other civil rights workers managed the all but impossible. No matter what, they did not retaliate. It was a strategy they trained to master. I know I can’t do it. Ultimately, it was the brutality of those who opposed King that forced the embarrassed government to enact the various Civil Rights and Voting Rights bills and sign them into law. Personally, I think the man was a saint. He offered his life for the Movement. And so did many others.